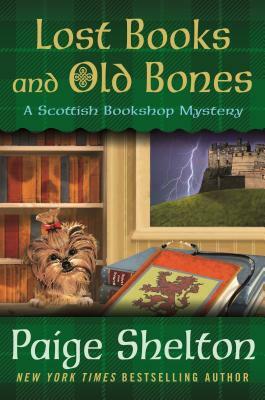 Set in Edinburgh, Scotland, Lost Books and Old Bones is a delightful new mystery by Paige Shelton, featuring bookseller and amateur sleuth Delaney Nichols. PAIGE SHELTON had a nomadic childhood as her father's job as a football coach took the family to seven different towns before she was even twelve years old. After college at Drake University in Des Moines, Iowa, she moved to Salt Lake City where she thought she'd only stay a couple years, but she fell in love with the mountains and a great guy who became her husband. After many decades in Utah, she and her family moved to Arizona. She writes the Scottish Bookshop Mystery series, which begins with The Cracked Spine.